Free Parking Garage behind restaurant. Dedicated to purists, adventurers and first-timers alike, Sushi Zushi balances Japanese roots with Latin American influences to create an expansive menu, far beyond the ordinary. *Consuming raw or undercooked meats, poultry, seafood, shellfish or eggs may increase your risk of food borne illness, especially if you have certain medical conditions. ^No Raw Fish. Service started off poorly. Short staffed and waited for water and initial service. Food was great as always though. 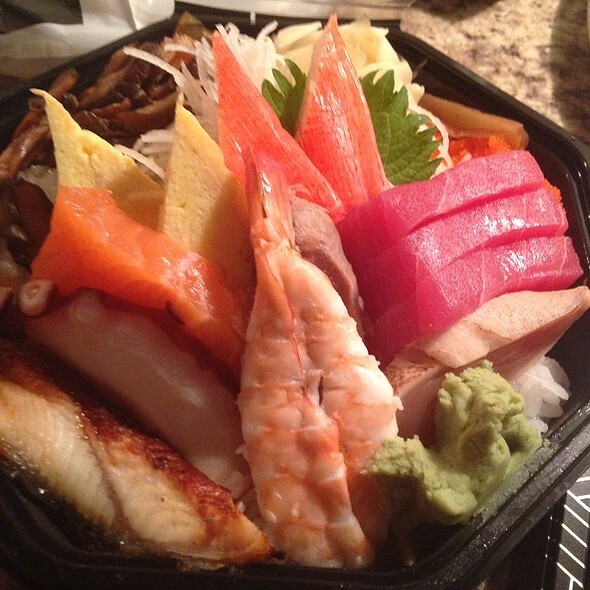 I enjoy so much going to Sushi Zushi, my wife and I go at least once a week. 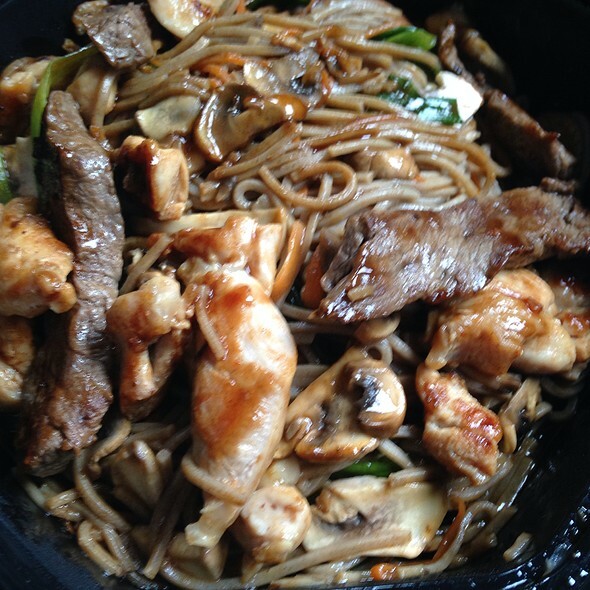 Their menu is very extensive but we always stick to the same dishes. 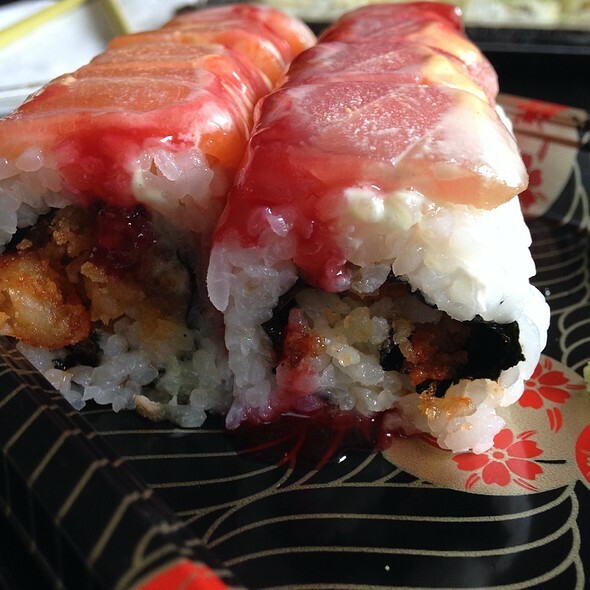 If you like spicy food I highly recommend the Monterey roll and ask for some Chiles toreados, I enjoy it with a vegetable yakimeshi, they come in a soy sauce mix. I can tell you this are not a Classical Japanese sushi restaurant but more of a fusion, anyway I LOVE IT! We eat here every time we are in Dallas. It’s easy to get in and out of in a reasonable amount of time. 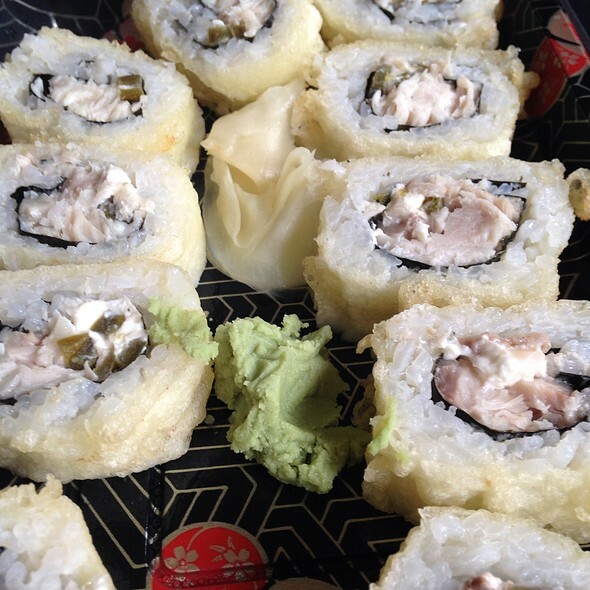 Big menu with any combo you can dream of and they will build a custom roll usually too. The tuna tower is my favorite so I always get that one. The service was extremely slow. I think it was our waiter that wasn’t great. The menu is too large I prefer less choices. Overall the food was ok I would go again if I have to but prefer somewhere else. very slow service, unprofessional server, and they wouldn’t accept opentable reward. won’t return. big group fast good service! Horrible manager. Felt bad that hour waitresses who was working really hard had to follow her lead. Our server was amazing and the food was delicious. Food often takes over 40 minutes to arrive at the table. Long wait for an empty restaurant but the food was good. The only reason that this restaurant did not get 5 stars is that they have no suggestions about parking. Luckily we found a spot on the street a few blocks down. This information would have given them a 5-star rating. Unfortunately, there isn't a 4.5-star rating. Hip vibe with outside seating for nice days. Lots of options on the menu even for those that don't like sushi. Fresh fish, unique options and a pretty nice happy hour menu during the week before 7:00PM. Went on a date with my wife and or newborn daughter. We came early (6:30pm) and were pleased to see other parents dining with their little one (in a stroller or car seat). Our waitress was very friendly and service was fast. We ordered the veggie tempura to start and had a few rolls from the happy hour menu (only $5 a roll..!). All very good. Will definitely be back! It was ok, service was a little slow. Food was great, nice variety. Clean and friendly service. We miss the Southlake location as it was much closer to us, but we were glad to get down to this one. 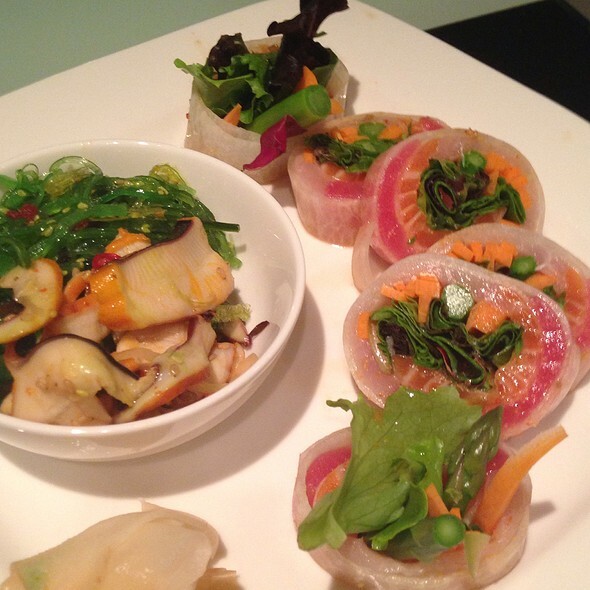 We love the sushi and especially the gluten free menu. 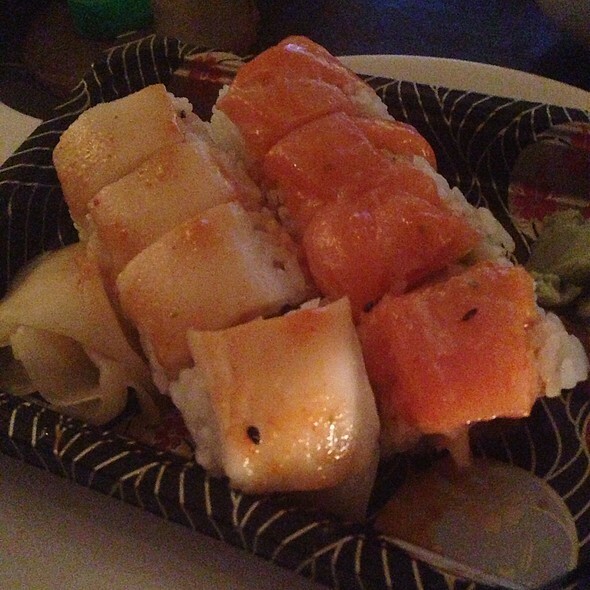 As good of sushi as we have found and the service was great. Everyone was friendly, and special shoutout to the manager Jessica for "babysitting" our daughter so we could eat part of our meal together, without tending to her. So cool! 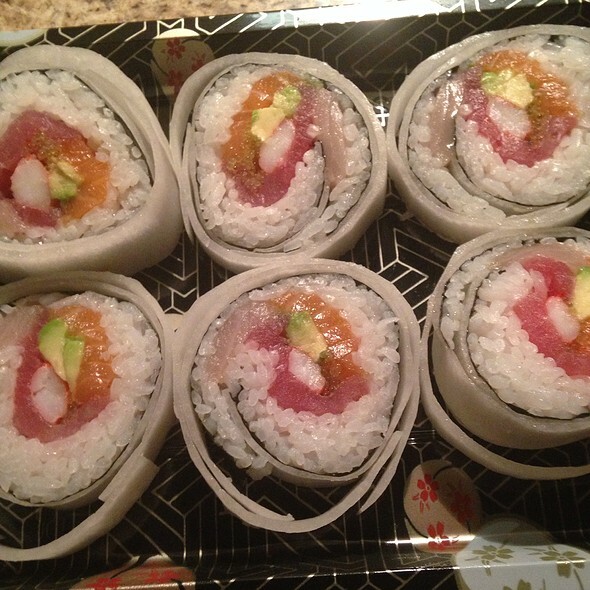 Excellent service from Brian and very good sushi and rolls. Their Saki selection is very good as well. Food was good, service was great, a little pricey but given the location, not surprisingly so. I was always impressed with this restaurant at their Southlake, Texas location. The food was always incredible and the service was up to par. Since they closed down the Soulake location, I drove to the Dallas one. I was really dissapointed. There was only onw waiter/bartender for the whole restaurant. 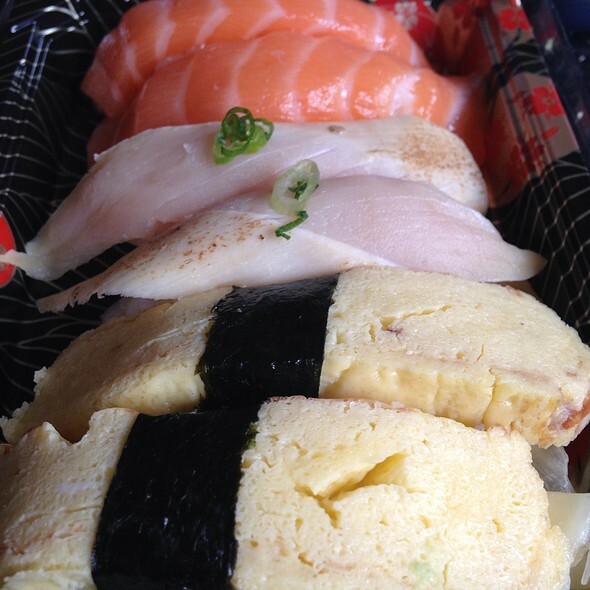 The food I had to send it back twice because the sushi was missing ingredients. The other staff (not the waiter) were rude. Food was nice. Tempura was great. Large portion of Seaweed Salad. Wait staff and management were attentive. Dirty dishes the last two times I’ve been. The staff and manger are dismissive and rude. I will never go back there. Consistent value at their many locations. They have small outdoor seating options also on sidewalk when weather is good. Sushi was delicious but service was terrible. Took 70 minutes from the time we ordered to get 3 sushi rolls. Good food but I won’t go back. The restaurant was easy to get to. It was a nice quiet place to go on a date. There was a large sushi menu and the sushi that I ordered was great. 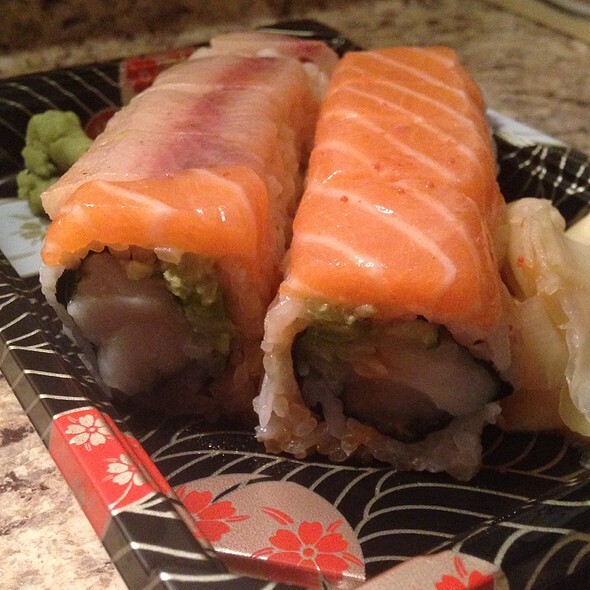 The sushi here is pretty good and reasonably priced. I have to say the service continues to be super slow. I can never understand why because it’s never super busy when I’m there. The servers are super nice it’s just sooooo slow. I always order the veggie teppanyaki and each time I feel like the amount and the quality changes...not for the better. I go because it’s convenient and decent quality. Terrible bar service. Our apps arrived long before our drinks. Took forever then the cucumber sake martini was SUPER (like shockingly!)sweet. Couldn’t drink it. Sushi was fine, but was really heavy on the rice. My family and I were traveling through Dallas on our way to New Braunfels when we stopped to eat at this great restaurant. The beef sashimi appetizer, jack roll, summer roll, and key west roll were all delicious! The tempura fried ice cream was divine. Great sushi, had a reservation, arrived early & they sat us early. Service was too notch. Will go back!! Food was good, service was a little slow but we weren’t in a hurry so it was fine. Would definitely go back. I went for my birthday and a first date, simultaneously, so You can imagine the angst..
It’s a great place to wine & dine! The food is amazing, the service is sweet and the ambiance is glorious!!! We really enjoyed this visit. It had been awhile. The ambiance suits us with enough space such we don’t feel squashed in like some places. Good, fresh, delicious. Great service too. I loved it! The Japanese Cherry blossom drink is so delicious!!! Server was great! Hosts were very rude!! Great food, great service. We missed happy hour, so we will return to check happy hour out! Food was good, service was slow even though we went at 5pm and hardly anyone was there. Just make sure your not in a hurry and you will enjoy it.